Back in May, the results of a survey were released, revealing that teens were starting to grow a bit tired of Facebook, finding a number of reasons to instead be drawn to other social networks such as Twitter, Tumblr, Instagram, and Snapchat. Part of this is because of adults — including parents and grandparents — having an ever-growing presence on Facebook, which keeps Facebook from remaining ‘cool’. Other issues that were brought up included oversharing by their friends and ‘drama’ that would happen in real life because of Facebook. Though Facebook repeatedly denied that teens’ interest in Facebook was waning, their recent quarterly financial statements have shown Facebook’s first-ever decrease in teenage daily users. Facebook continues to defend itself in regards to the fact that Facebook is still the highest-used social network by teens in the United States, but this admission led to a slight drop for Facebook in the stock market. Apart from cyber-bullying and oversharing reasons, some news sources suggest that it could be Facebook’s mobile app that is holding it back by being so cluttered and full of options that it can be overwhelming and result in ‘decision paralysis’. When compared to simpler mobile apps that teens have been drawn to in recent years, it’s quite noticeable how much less clutter can be found on services like Instagram and Snapchat. One of the reasons that teens appear to be drawn to Snapchat in particular is for the same reasons adults who use Facebook wouldn’t put certain information on LinkedIn. For instance, in the way that adults wouldn’t want to look like slackers by posting vacation photos on their LinkedIn profiles, kids and teens don’t want to have any of what they post permanently recorded on Facebook. Instead, they choose to share silly images and videos that are only temporary with their friends, so that their posts aren’t scrutinized and used against them at a later date. Earlier this year, Twitter announced their acquisition of the We Are Hunted service and their intentions to launch their own music-based mobile application. In April, this application came to be as Twitter #Music, which I covered upon its launch. Their were high hopes for Twitter’s official entry into the music business, with dreams that Twitter #Music would reach the same level of popularity as their video sharing application, Vine. Unfortunately for Twitter, this was simply not the case. Upon its debut, Twitter #Music reached sixth place in the App Store rankings for free mobile application downloads, but this success was short-lived. By the end of August, Twitter had dropped to 1,672nd place in the rankings. Of music-related mobile applications alone, Twitter #Music currently ranks at 264, which is truly nothing to write home about for Twitter. 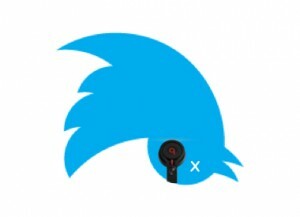 Apparently, behind the scenes, there were a number of missteps in Twitter’s development of Twitter #Music that may have led to its untimely demise. Unlike usual projects created by Twitter, the application was developed in isolation inside the company by the team behind We Are Hunted and former Twitter business development leader Kevin Thau. Part of the app’s lack of development may be attributed to the fact that Thau left the company right after Twitter #Music was launched, in order to become the COO of the mysterious startup known as Jelly. While an official announcement has not yet been made by Twitter, inside sources claim that the project is going to be officially shut down, and that Twitter may instead find other ways to integrate music into users’ Twitter feeds. How exactly Twitter intends to proceed with Twitter #Music and their foray into the music industry remains to be seen. With recent developments in Internet privacy news, one would expect social networks to be getting stricter with privacy settings. Facebook’s most recent announcements, however, prove that this is simply not the case: in fact, the social network appears to actually be reducing its privacy settings. It was announced last Thursday that Facebook would be removing the privacy setting that allowed users to hide themselves from other users in Facebook’s search field. The primary reason that Facebook has stated they have made this specific alteration to the privacy settings was that the tool was outdated and it only made things more difficult for Facebook users who were trying to find their friends over the social network. The other likely reason is due to Facebook’s recent Graph Search addition, which is intended to make it easier to find people on Facebook. With Graph Search and the removal of this privacy feature, it will be easier than ever to connect with others via Facebook. 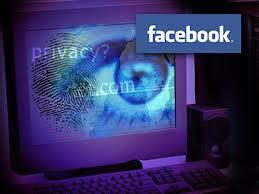 Another way that Facebook is altering privacy settings is in its relaxation of privacy rules for teenagers. 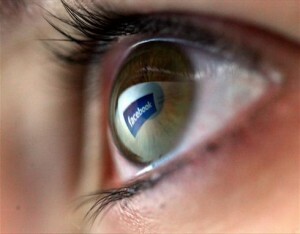 13 to 17 year olds who use Facebook are now able to share their photos, comments, and updates with the public. They can also now turn on the ‘Follow’ feature that adults have been able to use for quite some time now, which allows people who they are not friends with the see that person’s public posts in their own News Feed. Oddly enough, Facebook also has announced that teenagers’ default share setting will no longer be ‘Friends of Friends’ and will instead just be ‘Friends.’ This means that posts made by teenagers will — by default, anyway — actually be harder for others to see unless the teenaged Facebook user has other wishes. Essentially, Facebook-using teenagers have the ability to share with more people than ever before, but their default settings will reduce that ability unless they choose otherwise. I’ve talked about Snapchat before and how its simple interface led to it being referred to as ‘the next Instagram’. Snapchat was initially only set up to send temporary images and short messages back and forth between its users before expiring. Since its launch and especially in the past month or so, Snapchat has been making some tweaks to their existing formula, partially to add a bit more permanence to its typically temporary interface. In particular, Snapchat has recently launched Snapchat Stories, which is essentially the ‘Timeline’ equivalent to Snapchat. Posts to Snapchat Stories last for 24 hours, compared to usual Snaps that only stick around for a few seconds once they have been viewed. Facebook has been in the news recent in regards to their upgraded search function that allows for users to easily find any posts that have ever been made by a Facebook user. This has called into question some people’s attitude towards permanency and Snapchat Stories appears to offer a happy medium between the quickly disappearing Snaps and the long-enduring posts on Facebook. 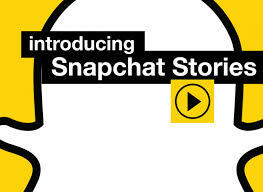 Snapchat introduced the Snapchat Stories function by debuting a variety of commercials that advertise the new feature, partnered with a number of bands and musicians. This is contrary to the way Snapchat has typically been marketed, and may have some implications for the way Snapchat is attempting to turn itself into a useful and marketable spin on the typical social network. For instance, Snapchat Stories’ 24-hour function could be a great way for businesses to send out limited-time coupons. In addition to Snapchat Stories, Snapchat has also been experimenting with other ways to monetize their brand. For instance, Snapchat wants users to be able to connect with musicians and artists and simply double click their public posts on Snapchat Stories in order to easily purchase music or other products that are coming from those sources. These ideas are still in the early stages, but they show that Snapchat is working towards making themselves into a long-lasting brand. Social media platforms tend to change and update features and layouts more frequently than almost any other website. Because of the immense competition between the major social networks, this is relatively unsurprising. 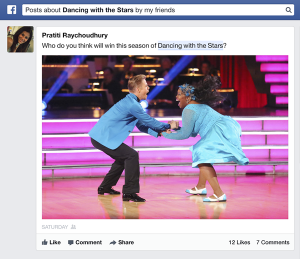 Facebook recently made headlines with new updates that they have recently launched. Facebook’s announcement that they are making updates to their Graph Search feature has been of particular interest. Essentially, the update to the Graph Search allows for users to search for posts, in addition to people. When the Graph Search was originally launched, it allowed people to search for friends who lived in certain areas, who worked at certain places, or friends of friends who were single, alongside many other options. These same options are now being extended to public posts and the posts of yourself and your Facebook friends. Graph Search now allows users to search for posts written during a certain year, posted at a certain location, or that talk about a specific topic. Since Graph Search has been updated to allow users to search through every single check-in, status update, comment, or note that a person has ever posted on Facebook, it is not surprising that some people are worried about privacy, at least in regards to potentially embarrassing or upsetting past posts. Many people have had their Facebook active for more than half a decade, so it’s not too shocking to assume there may be opinions or information posted a long time ago that they don’t want their Facebook friends to easily see. Luckily, Facebook has added new options to the social network’s privacy functions. Users can easily go into their privacy settings on Facebook and select the ‘Limit Past Posts’ function, which allows users to hide their past posts from being readily available and easily found through Facebook’s updated Graph Search. Though Graph Search was launched for a limited amount of users on Monday, it will be gradually extended to all Facebook users, so new privacy settings are important to know about.